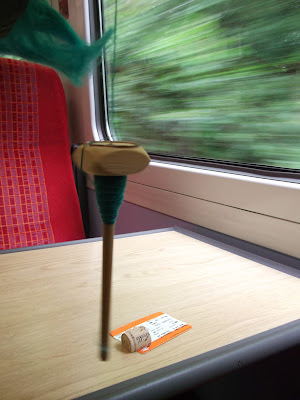 Well I spent Woolly Wednesday day travelling by train to a local town to listen to a talk by the very talented natural dyer and author of a great book on natural dyeing, who also happens to be a member of our guild. 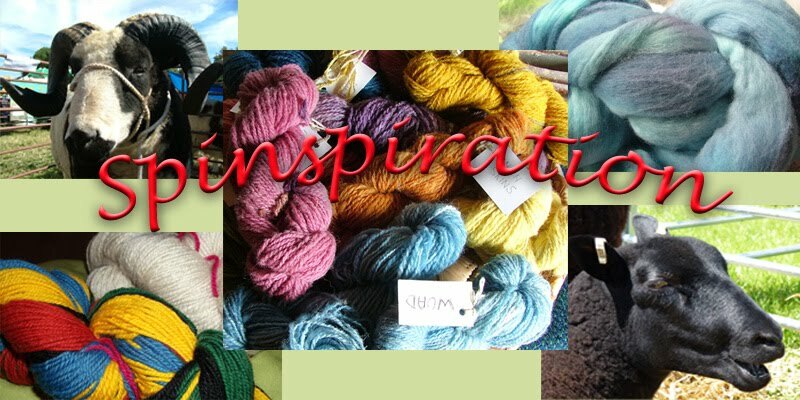 How great that is for us, so many fabulously talented members to learn so much from. 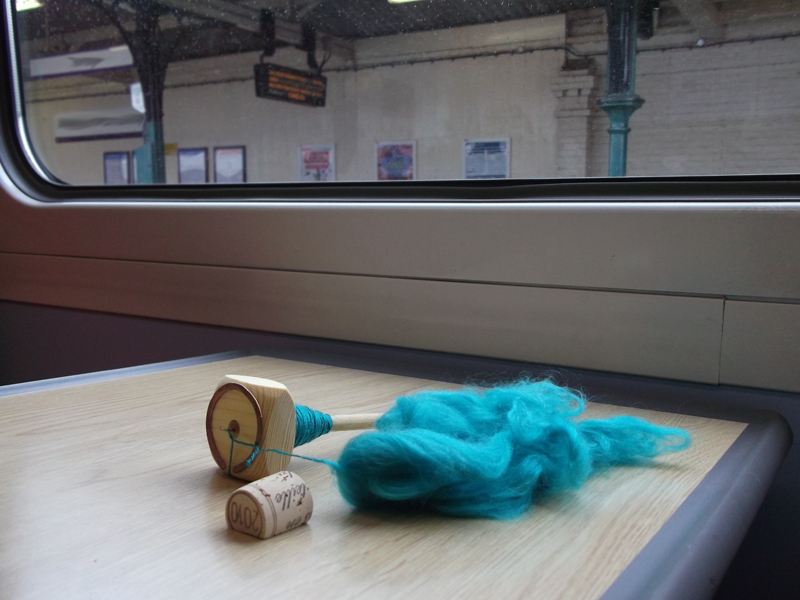 I had my spindle with me for a little travelling spinning. I'm taking part in the Tour de Fleece this year on Ravelry and part of my goals is to spin daily for at least half an hour, so I used some of my travelling time to achieve the goal for the day and will have the wheel spinning later. On the spindle is a blended fibre of Wool/Silk/Acrylic and it is spinning quite fine. 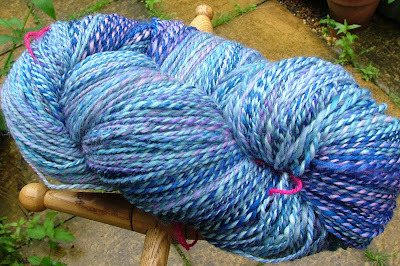 I actually had previously spun a reasonable amount of this but I recently knitted it direct from the spindle onto a piece of artwork a friend is creating - a lovely woolly project that has been travelling around and will go on display in a local art gallery in the Autumn. 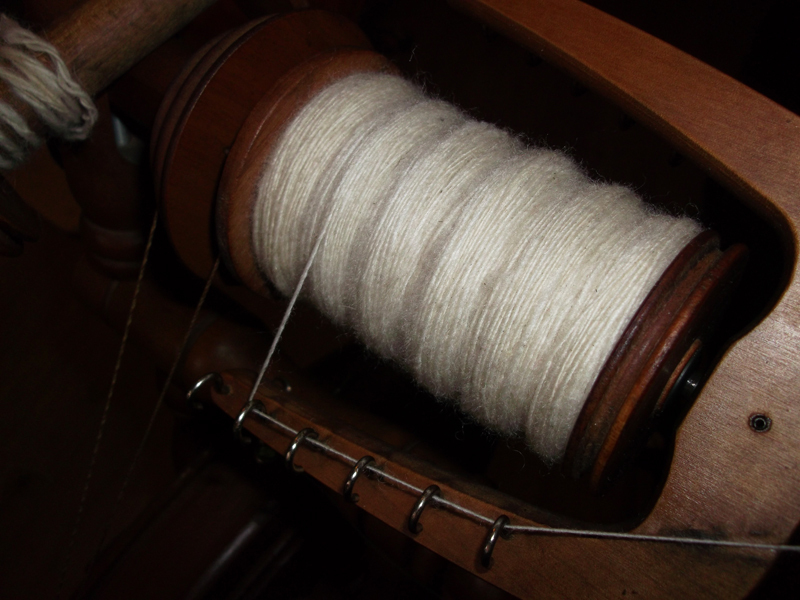 So back to spinning more of this on this lovely little spindle that just spins and spins and spins. 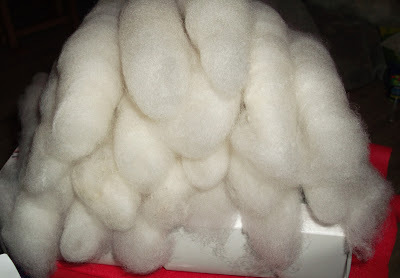 On the wheels for the TDF I an spinning up breeds of sheep that I have not spun before as my goals, and also as a way to get spun all those bits and pieces of fleece I have around. 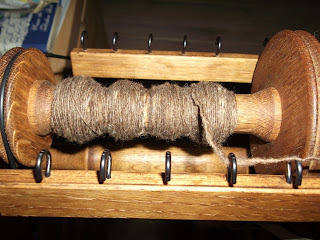 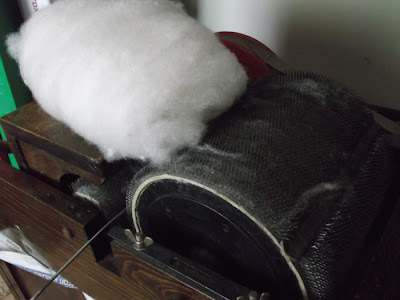 I am spinning Manx Loughtan on the Louet wheel, only a little bit done so far - need to prep some more fibre. 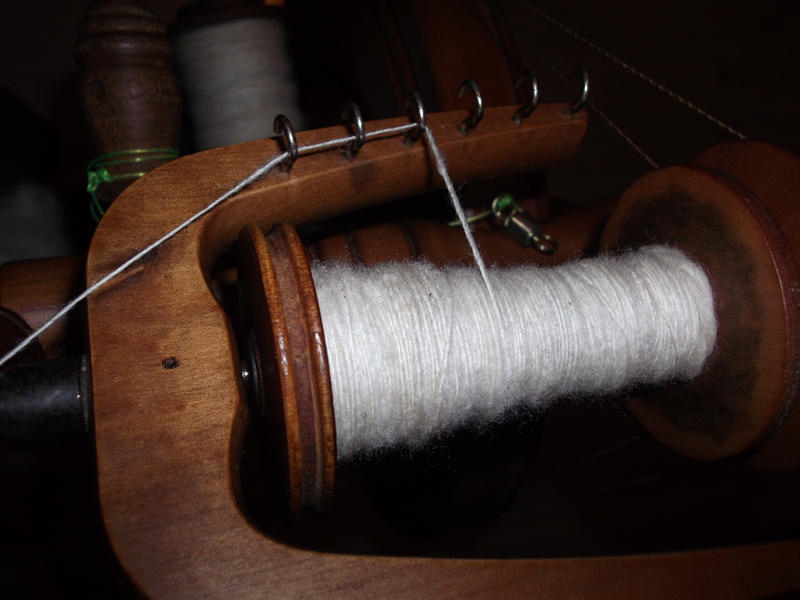 On the Wee Peggy wheel I have done more spinning - the first breed I am spinning is some Polwarth which is a lovely bright white, soft and bouncy. I have spun one full bobbin and am onto the second one, and have a lovely pile of Polwarth rolags sitting waiting to be spun. 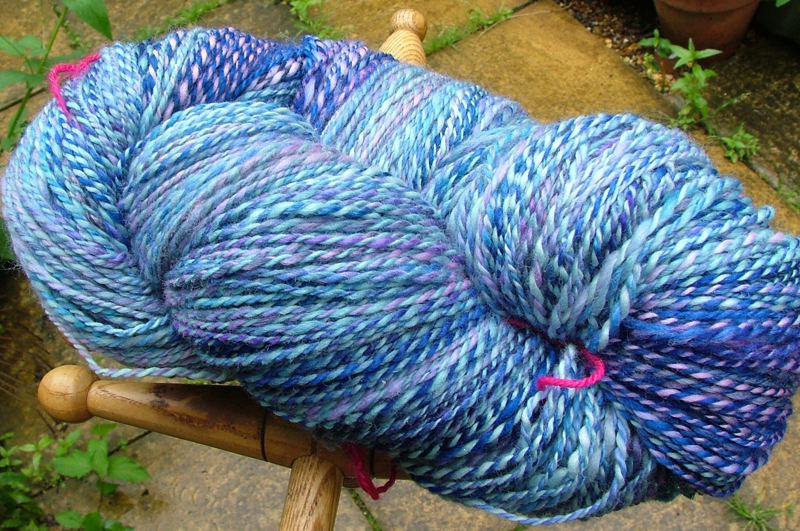 I am going to finish the Polwarth first, then get more Manx spun and then look at the next breed to start on. 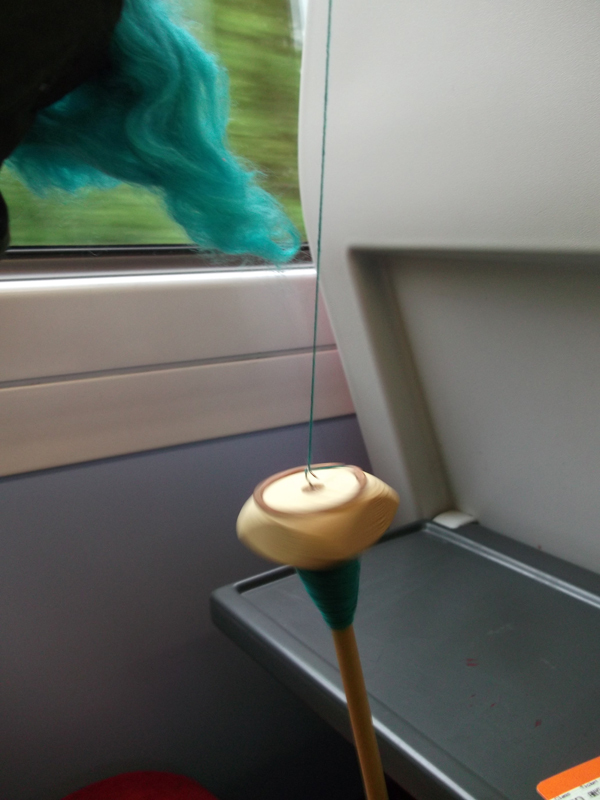 I've been reminded today about some Whiteface Dartmoor that Kelly sent me last year so may well get that one out next as she has said to me how lovely it is spinning up for her. 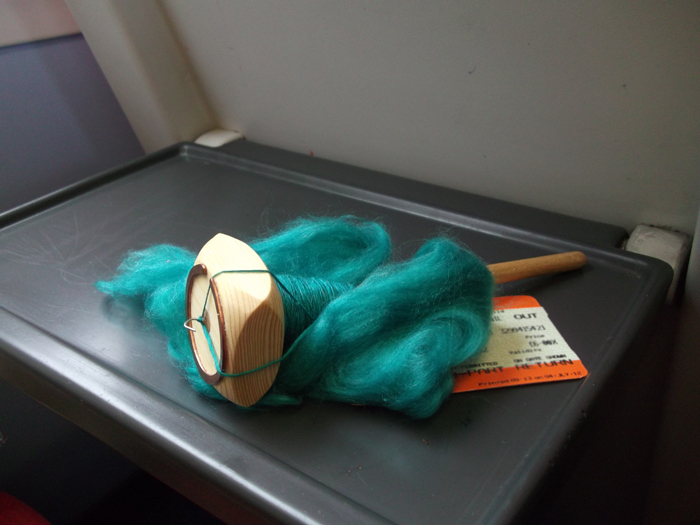 I have a lovely selection of others to move onto too - lets see how many I can work my way through for the duration of the tour. 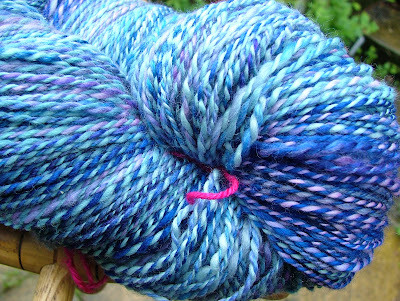 Oh I nearly forgot, here is the blue yarn I was spinning and dyeing recently all finished, plied and in a lovely big fluffy skein. 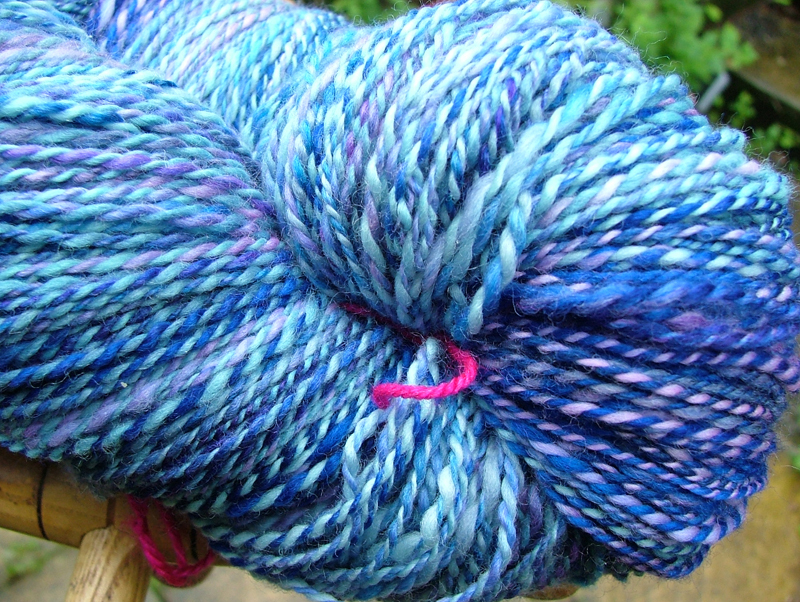 Looking into a project for this yarn soon hopefully. Look forward to seeing others linking up, come and share your woolly adventures with us.